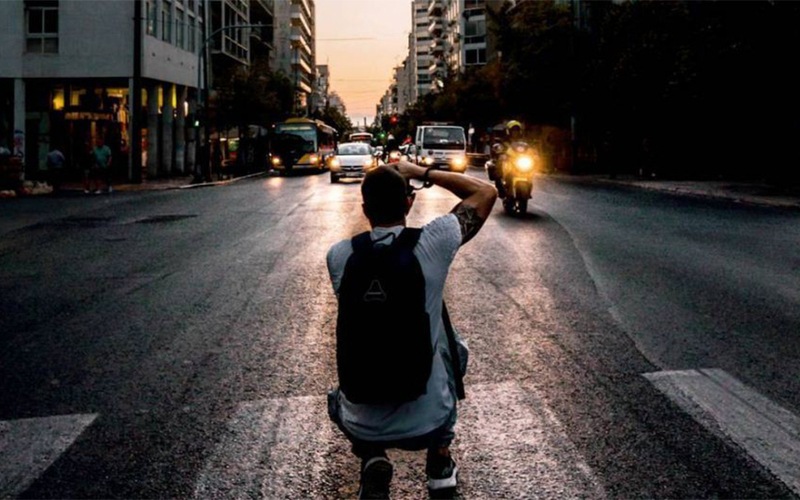 From the Instagram feed of Panagiotis Koutroumpis (@goatherd_k), who loves to shoot traffic in Athens. Inspired by the museum's Modern Greek Architecture Archives, the Benaki is inviting residents to capture their own perspective on the city of today. A new initiative launched by the Benaki Museum seeks to engage Athenians (and Athens lovers) by inviting them to present their take on the city. The idea behind the initiative was inspired by the museum’s Modern Greek Architecture Archives (MGAA), which contain mostly unknown treasures. The archives encompass sketches, mock-ups, photographs and manuscripts – all evidence of the country’s architecture and urban planning since the late 19th century. The Benaki Museum has reached out to the capital’s residents and visitors by inviting them to take part in a competition, in which participants are required to submit a one-minute video with their own take on Athens. The competition, which is dubbed “One-Minute Athens,” is open to everyone. It requires no special skills and anyone can take part. All you need is a cell phone with a video camera (sound is optional) and an imaginative way of viewing the city. The Benaki archives have plenty of material on the historical and architectural stages of Athens through the years, allowing for an in-depth understanding of the capital. It is understood that the organizers expect the promotion of a less-cliched perspective. There are no constraints. The deadline for submissions is September 20. Participants can upload their project on a cloud-based computer file transfer service (WeTransfer, Google Docs, FTP) before sending a link to enaleptoathina@benaki.gr. See here for more details.